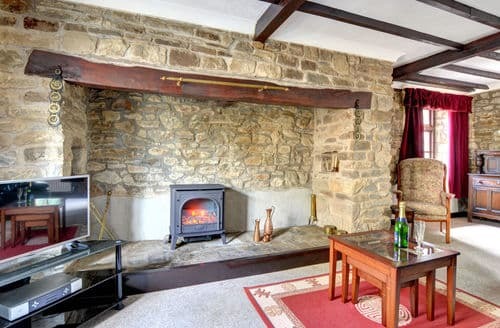 What our customers are saying about our Holiday Cottages In Talley To Rent. "We had an excellent time at S41787. 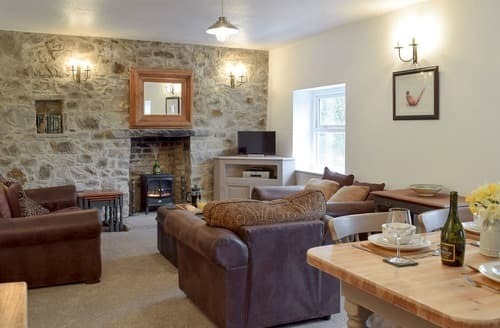 You get the warmest of welcomes from the friendly owners Julie and John who have created an attractive and comfortable cottage in which you can relax and enjoy yourselves. The peace and quiet and the lovely extensive views across the valley make it a great place to stay. Although only sleeping two the cottage is roomy and very well furnished and equipped - the bed was extremely comfortable which is not always the case in some other cottages. Everything was spotless and the welcome hamper was generous and of high quality. We particularly enjoyed eating the owners' duck eggs! At first I was disappointed that there was no wifi but at the end of our sadly too short a stay I realised how much more relaxed we felt not wasting holiday time looking at our smart phones and iPad. Although we could happily have spent all our time just at the cottage we were in a lovely part of Wales with plenty to see and do. We also loved the traditional old pub down the hill owned by the National Trust. We hope to return as soon as possible and for a longer stay next time. Thank you Julie and John for your kind hospitality." "We have stayed in properties through Snaptrip for a number of years and this was the first time we have been greeted by the owners. This was a pleasure and a lovely personal touch, thank you. Really comfortable bed, and we loved the natural light of early mornings. Great photograph of sunrise over The Black Mountains. The view is spectacular - watching Red Kites gliding over the fields. Cymdu Post Office is unique - Llandeilo is a pretty rural town. Tenby and Saundersfoot have memories of early childhood holidays. Dylan Thomas' estuary home is really worth a visit. We booked through Snaptrip as a last minute booking and wanted a "room with a view" away from suburbia. The view sold us the holiday. S41787 is the result of the vision of a couple who wanted to change the direction of life. J & J you have created a little oasis and welcome people onto your smallholding to share this vision. Thank You!! " "Excellent excellent excellent!! :) Beautiful cottage - we want to live there!! Julie and John were absolutely amazing which made the holiday extra special. 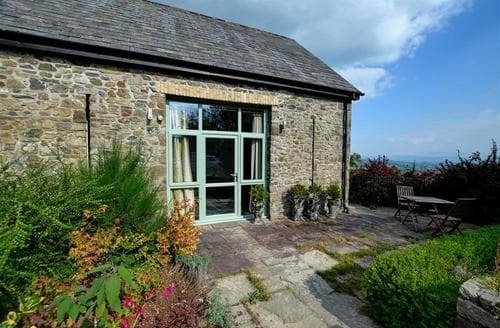 The cottage is in a beautiful location with stunning views. The interior has been beautifully furnished, you can definitely tell that this has been built with love. Julie and John have thought of absolutely everything including a welcome hamper and the place was spotless! We were lucky enough to get some sunshine on the holiday and enjoyed our first barbeque of the year - all of the equipment including coal were provided again this is something extra which we thought was a good idea. We would highly recommend S41787 and hope to stay again in the not so distant future. Julie and John....keep up the good work! :)"
"Excellent excellent excellent!! 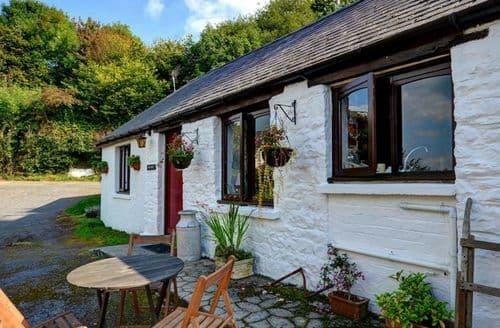 :)Beautiful cottage - we want to live there! !Julie and John were absolutely amazing which made the holiday extra special. 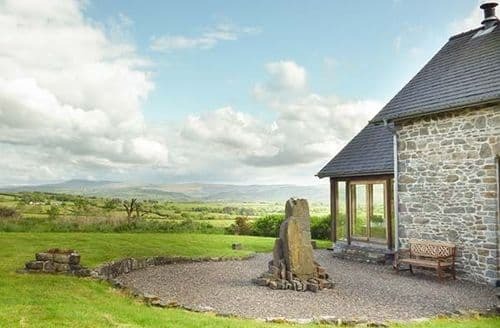 The cottage is in a beautiful location with stunning views. The interior has been beautifully furnished, you can definitely tell that this has been built with love. Julie and John have thought of absolutely everything including a welcome hamper and the place was spotless! We were lucky enough to get some sunshine on the holiday and enjoyed our first barbeque of the year - all of the equipment including coal were provided again this is something extra which we thought was a good idea. We would highly recommend S41787 and hope to stay again in the not so distant future. Julie and John....keep up the good work! :)"
"Hi this was a lovely place and lovely location but in our view there are two factors that let this property down for us. Firstly the garden was not dog proof, we gad to use garden chairs to block the only secure part in to stop our dogs escaping and this was along the side of the property which was a pebble/gravel area. The prime reason is the long driveway that is a rutted path with a higher rise grass rump in the middle and lower tracks either side, along with a mud patch and very dodgy first cattle grid that felt and looked like the bars had slipped and we're not conected. A 4x4 or high chassis vehicle would not find this a problem. I damaged the exhaust on my low chassis car though."